Easily an area of confusion and yawning! Groups of people committed to know and apply the Word together in a caring fellowship, with clear organization to provide care, discipleship, and outreach. A community within the church…to serve and love each other…to reach out. A Sunday adult class or home group geared for true congregational life, where “one another’s” are planned. We grow best in _____________________. Medium-size communities provide all types of people, not just your . Each age group has similar ____________ and desires. Larger gatherings are for different The up-to-90 rule. Not a Sunday School Class! But that is what a Sunday group will become if not led and managed. Old-time Sunday school opening vs. gathering to mix in the classroom or home. Start each session with “cheers and tears” after introductions. Appoint people as greeters, social leaders, refreshments. Give excellence to the whole experience. Give suggestions and feedback to the teacher..
Report on the health of the group to the point person on staff regularly. Teach truth with application from the Bible. Carefully involve others in the lesson, including the training of an assistant teacher to give him or her experience and ministry. Take the lead in suggesting a teaching plan for the year, involving the others on the team so it is collaborative. Lead the group to show care and love for each other, and organize action care when there is sickness, tragedy, financial need, etc. Organize the group to have care managers with 3-4 families or singles on their “list” for prayer and care when needed. Keep the names of people in need in front of the group when you pray (waiting until the “Ask” part of the prayer to lead in prayer for them). Help the group adopt a missionary for prayer and care. for greeting every Sunday; serve a local mission group on the church budget frequently). Be sure good communication happens with the missionary or two that your group adopts or gets by assignment. Sunday School Classes — the traditional kind that have been there for a long time. + some build good community; many do not, but are more about the lesson. – often mostly a teacher and a lesson. + Some emphasize outreach and specific purpose. + Some get into small groups for personal questions. – Competition with other groups—often there is no coordination with other groups. Discipleship-Accountability Groups — or one of those Bible study also, but with candor and goals and strong; twice a month at least, for two years. Electives — Bible study and/or topical study classes. + Good content or can be. + Great way to get people liking a group. – But is that what people need—more content? Why not use short ones to get new people in, then help them transfer to a regular ABF/group? The “felt-need” topics—like finances, family, or future—can be enticing. Evangelism Studies — often best in homes and with a clear ending—4-6 weeks, so unchurched people are more likely to sign up. Usually based on relationships. 1. Worship services are to point upward, and are not hindered by But true community and connection are harder there. The “one person can pastor 90 people” theory. Actually some attempts to build community in worship services can hinder growth, make guests (not “visitors”) feel like outsiders, and be the opposite of seeker-friendly. And all of us want the worship service to be very warm and “at home” for new people. 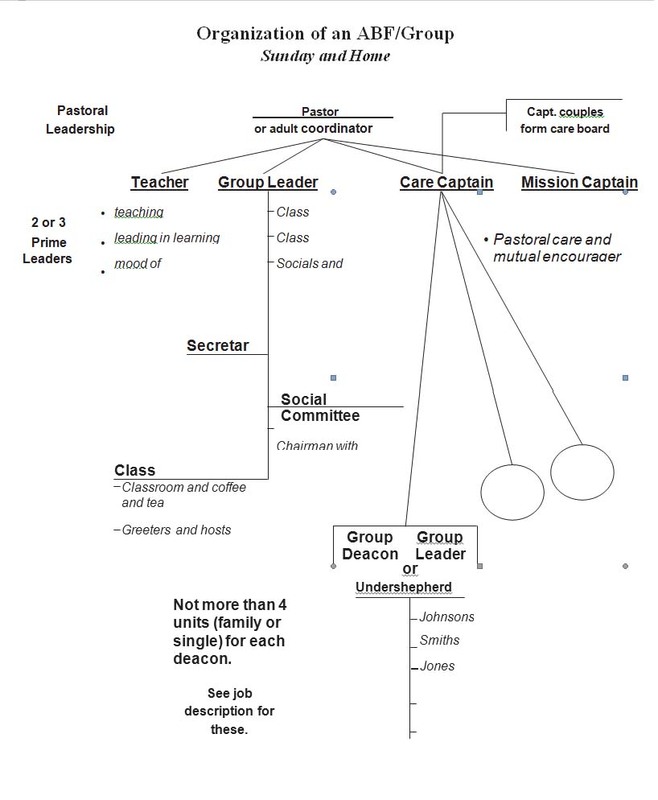 Groups are for Bible study in a setting of community—care for each other, welcome to new people, regular application to daily life; and can have a mission emphasis—serve in the church and connect with a local mission supported by the church, and with a global missionary supported by the church. usually two years together and then start new ones—best if two go to start three new groups (if there are six in your group) to study the same material that uses verse that hit the heart and to grow together inTLC (time, love content of Scripture that changes the heart). This is good reproduction and the best “discipleship program” for the church! People need more than worship, where it is easy to be a spectator. They need community, or relationships in a group that also has a missional emphasis and purpose. Size is vital to the nature and purpose of a group! Worship: as big as can be! Growth is best in relationships. People like and need time to be with people of their church who have similar time-of-life challenges. There are so many groups advertised at the church. We call a home group a “small group” even if there are 10 or more in it. Often there are several or many kinds of groups, and people may not understand the difference. Some get in a Sunday group, a home group, a women’s or men’s, a breakfast study, a class they teach—and we wonder why evangelism is weak, or sometimes marriages. Often teachers, leaders, or care leaders are not trained for their roles. There may be no “point person” to go to when there is a need. No thought is given to the strategy or purpose for a group, often even at the leadership level. This may not happen for sure. Many teachers like to teach from current books. The Bible should be central in all groups. Every group should study at least one segment in the Old Testament and in the New Testament each year. All teaching plans should be submitted to leadership before every “church year” or each quarter. The pulpit must model true expositional teaching for the lecterns. Many groups easily become “Here’s what I think” sessions if leaders are not careful. Students should be urged to bring their personal Bibles to group meetings. They are part of the “infield” (ministry area) of the soccer field boundaries cared for by the church board. So the senior pastor has ultimate responsibility. If there is more than one pastor on staff, clearly one should be the for groups. It is best to have both Sunday ABFs/groups and Home ABFs/groups be under the same Point Person (by definition, a member of staff). It is healthy to have a Ministry Manager (by definition, a volunteer lay person) for each major area—one for Sunday and one for home ABFs/Groups, but clearly coordinated or led by the staff Point Person. All staff should care about and support ABFs/Groups as the #2 offering of the church. It is helpful when each pastor or director on staff is advisor-pastor to two or more ABFs/Groups. Staff need to decide if they want people of the church to be in both Sunday and Home ABFs/Groups, when they are “apples and apples,” meeting the same purpose. Staff must lead the way by having DAG groups they lead—a requirement on some staffs (should be on all—men with men, women with women). These can reproduce every two years. It is healthy when staff includes Ministry Managers of their areas in that staff member’s DAG. Church is responsible for care and shepherding. Care is best done by people who know each other. Action love needs should be assigned to specific people, not just generally encouraged. care leader and unit leaders. Care people learn about needs or absences by being in the same group. In severe cases, groups can more easily team up to provide needs. The care given helps the people bond, which helps them to study and enjoy together. Care for people not in groups must be provided some other way. Even when home ABF/Groups are strong, some people prefer a Sunday group. Seniors often do, sometimes because they do not drive at night! Parents often do because of the classes available for their children. Then they go to worship service together. Newcomers often do, for they are not accustomed to weekday groups. Churches grapple with “flip flop” schedule versus “sandwich,” once there are two worship services. + You double the ABF space available. + You do not spread out the support needs as much—nursery workers, music, etc. + The pastor can teach an ABF or special subject group. – See “flip flop” pluses. Many churches have only home groups, though some people prefer the advantages of meeting on Sundays. Especially seniors—some do not like to drive weeknights, and some young parents—they like the “child-care” that comes with worship services and ABFs/ Groups. Home ABFs/Groups should be able to set their own meeting times, with a policy of at least two times each month. The start up after the break can be slow. It gives a subtle suggestion that the groups are not so important. Suggested plans for meeting times should be well known by all ABF/Group leaders. (70 minute model) CL 10 “cheers and tears” — class leaders leading welcome, intros and special needs. (120 minute model) 15 “cheers and tears” — class leader/host helps with updates, needs, projects. There are high ________ mandates for the purpose of these. The pastor must__________________ in these. They are important in every size church. Someone on staff should be responsible for_____________ of all three. People with responsibilities should have job descriptions and accountability and minimal red tape. All three must be publicized regularly (stories, feelings, stories) and in new members classes. Care and love and enthusiasm can show in all three. Each way-of-meeting can have a ministry passion for both inside and outside the church. We should always do what is best for the church. Improving group life and ministry should not need a board action since it is “in the infield” of the soccer field. Normally we should not try to change what works for people over years of age! Sometimes it is good to start new ones with a better purpose and allow some old ones to stay the same. Not to make a big issue of what we call groups, unless people really know a revamp is needed. Celebrate purposes, not names. “It’s amazing how little you can do in one year and how much in five years!” A great principle for most of church or company change. Communication, communication, communication. Do not leave anyone out! Celebrate every new group and any new emphasis. “Churches do not celebrate enough”. Build on the past rather than act as if nothing good has happened. Emphasize Bible study in a context of true community and friendships. Can I describe a good one? Does our leadership team understand why “community” is so important? Do I know how very different from discipleship ABFs should be? Do I know the best purposes for home groups and how they are “apples and apples” to Sunday groups? Do our people know why we have groups? Do they know the difference between a community group and an elective? And why it’s a big deal? Do we know when a Home ABF/Group is better than a Sunday campus ABF/ Group? Does each community group (ABF) have a pastor? Accountability? A plan for good Bible coverage? Do we have a good workable plan for publicizing and explaining groups (ABFs)? Do people in the pews know how significant we feel they are? Do we start enough new groups (ABFs) and do we know the importance of that? Do we have a true system to “renew contracts” of teachers and class leaders and others? Do we have realistic goals for percentage of people involved in “community” — ABFs, and Home ABFs? The purpose of a worship service is _________________. Worship services that try to do true “community” will stay______________ . Some people prefer their community group to meet on _______________. People probably should not try to be in two community-fellowship T F Why or why not? . Men will join a community-fellowship group easier than they will join___________ . A medium or small group should meet at least _______________a month. If these strategies for medium and small groups are accepted, “Men’s Fraternity”-type groups should __________________. If a family or person is too involved in groups at church and their evangelism and closeness suffer, whose fault is it? ___God _ Theirs Pastor’s Wife’s. A group with 10 might as well have ___________________________. Churches who love “to meet as one group” (community) will probably stay__________________. should be at the center of all church groups and gatherings. Some meetings can meet none of those purposes. They can be just because they were scheduled. It is not healthy to meet for no purpose. It is the call of leadership to decide an activity has no good purpose. People who meet may not realize the meeting has no purpose. “Fellowship” can be used as the purpose of almost any meeting. We can keep some families so busy that they neglect good care for neighbors or even themselves as families. Normally one “community” or fellowship group is enough for one person or couple. It is hard enough to really get to know and love the 10 or 20 or more people in one group. To be in one Sunday ABF and one Home ABF or Home Group just duplicates the purpose and keeps the person from true discipleship or evangelism or home joy. It would be better for a person to be in only one “community”-fellowship group and one true discipleship or accountability group. A fellowship or “community” group can function well with up to 70 or 75 people. A true discipleship or accountability group has to be gender specific, and have no more than seven participants, and meet at least twice a month. 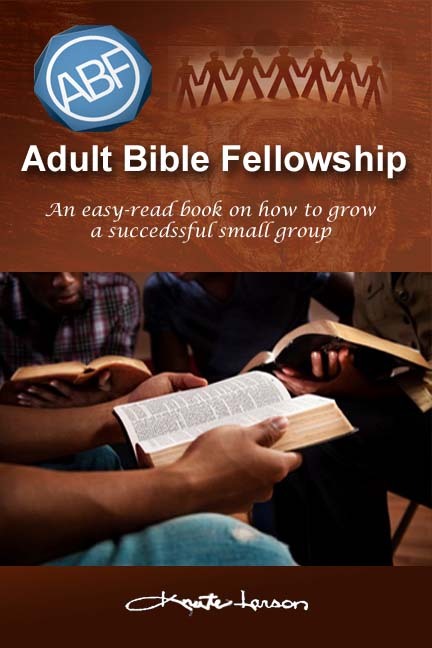 Most people older than 55 will focus on fellowship or care – two good purposes – if they are in a small group, even if it is called a discipleship group. Discipleship or accountability groups work best for recruitment or relationship when made up of people who also see and know each other in a larger “community” or fellowship group. 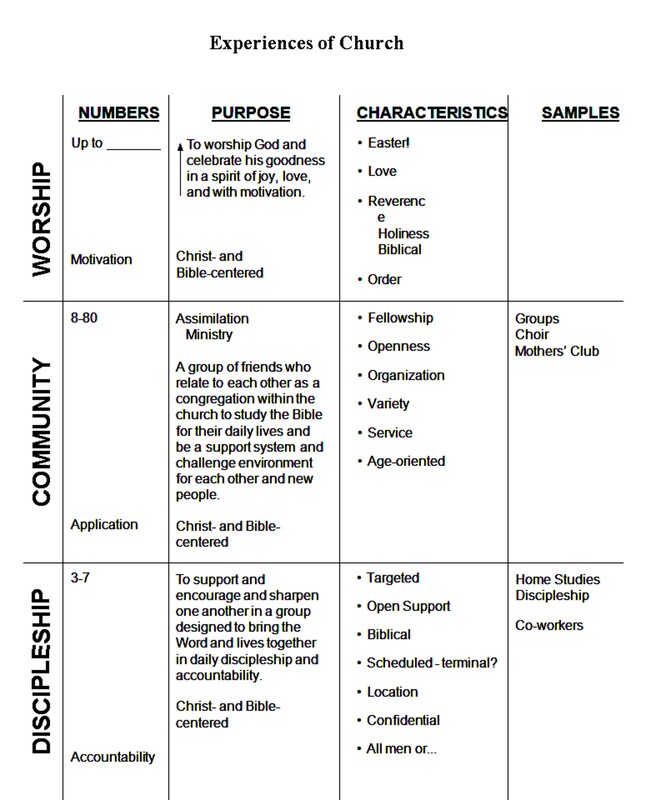 Sunday school electives that are content-centered rather than “community”-centered, as the ABFs are not fulfilling a high value. People probably get enough content. “Community” groups that repeat the Scripture text for application purposes fulfill a good educational advantage. Most pastors and church leaders have not experienced true, candid discipleship, and thus may not work to be sure the church is programmed for this. Why is attending a group for the first time a Giant Step for some? What can be done to help this? What do you think would be the most frequent reasons pastors see no need for any leader but a teacher for a class? A Sunday ABF/Group has 70 minutes together. Write an “order of service” with minutes noted. Tell in 30 seconds your best experience with a true community group—Sunday or home. T F The same “point person” on staff should be charged with both Sunday and home groups. What about community and DAG groups? What is the advantage of having at least some of the ABF/Groups on Sunday morning? Give 2-3 best arguments for why discipleship can be accomplished better in all-men or all- women groups. Debate: one-on-one discipleship is not as productive as one-on-four or five (unless this is really counseling). Write four ministry questions that true accountability group members could ask each other every time they met. Tell in 30 seconds your best experience in a DAG. Top three reasons many men stay away from DAG. Some say the best place to find other men or women for a true DAG is in the Sunday or Home ABF/Group because they already know and probably trust each other. 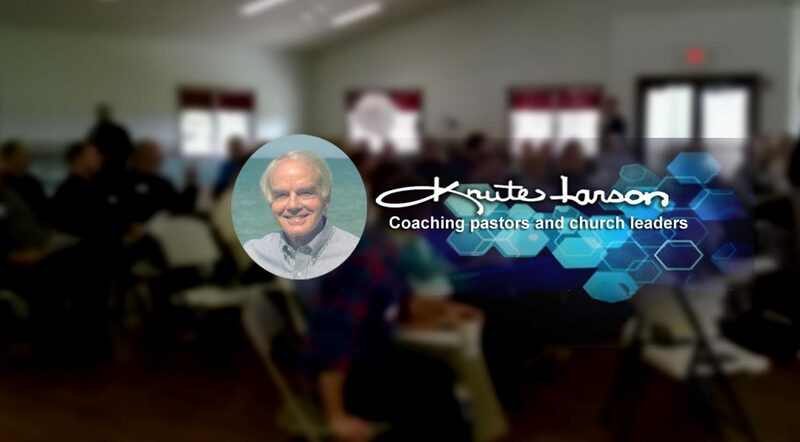 Name three elective subjects that could be used for short-term classes to try to connect with church attenders who never attend groups. Include ideas on how to help them transfer to regular groups. Tell what special-needs support groups might be needed in your church. For one minute say reasons using the P-R-A-Y model could improve the prayer of a group.